Living according to Psalm 1 is the right way to live. We can only live this way if we know Jesus who is the only way. 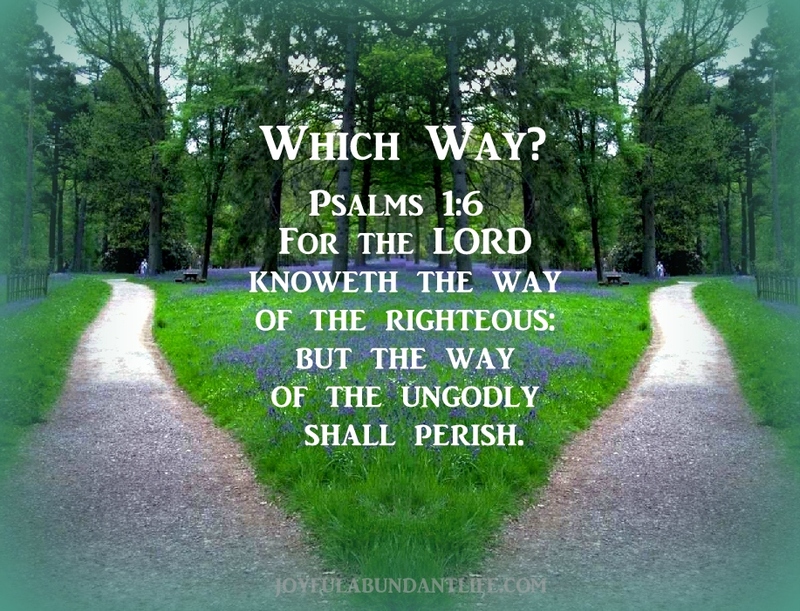 People may this there is a right way to live, but if it is not God’s way, then it is the wrong way. God has a perfect way for each of us who are willing to yield ourselves to Him. May we hear His loving and kind voice directing us. May we trust in Him to show us the way we should walk each and every day. May we daily lift up our soul to Him! Have you heard this little song? and it will lead to life eternal some glad day. Get smart, take heart, trust God and START! And it will lead to life eternal one glad day!